This month we published Translating for the Community edited by Mustapha Taibi. In this post the editor discusses the origins of the book and the under-researched areas of the field it aims to address. 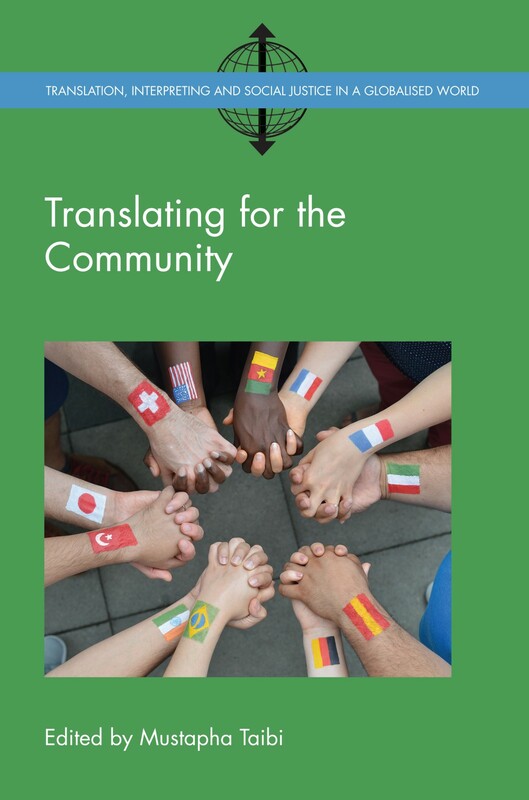 The idea of this book came out of the first International Conference on Community Translation, held at Western Sydney University in September 2014. The conference followed the creation, in 2013, of the International Community Research Group. These initiatives were responses to insufficient research activities and publications in the area of Community Translation (also known as Public Service Translation in some parts of the world). Rather than publish conference proceedings, we decided to publish a volume of selected contributions, both by scholars who were able to make it to the conference and others who were not. Thus the book includes the contributions of two plenary speakers (Dorothy Kelly and Harold Lesch), conference papers that were developed further (by Ignacio García, Leong Ko, Jean Burke, and Carmen Valero and Raquel Lázaro), and contributions by scholars interested in Community Translation who did not attend the conference (Brooke Townsley and Alicia Rueda-Acedo). In my case, as conference organiser, although I did not participate with a paper, I felt I needed to contribute with a chapter on “Quality Assurance in Community Translation”, a central issue in translation and interpreting in general, and in Community Translation in particular. The contributions were reviewed separately by two reviewers each (please see the list of reviewers in the acknowledgements section of the book), then the entire book was reviewed by anonymous reviewers invited by the publisher, as well as by the editors of the series Translation, Interpreting and Social Justice in a Globalised World, Philipp Angermeyer (York University, Canada) and Katrijn Maryns (Ghent University, Belgium). A big thank you to everybody involved! – How to integrate new technologies and the work of volunteers to expedite production and access without impacting the quality and effectiveness of community translations. As noted in the editor’s concluding remarks, a number of research lines and topics within the area of Community Translation remain unmapped or insufficiently addressed. The nature of Community Translation also triggers a need for interdisciplinary research that combines efforts from fields such as language policy, public service, social marketing, sociolinguistics, healthcare, immigration, social services, education, human rights, etc. I would be delighted to see other scholars building on this humble contribution and moving forward. For more information about this book please see our website. 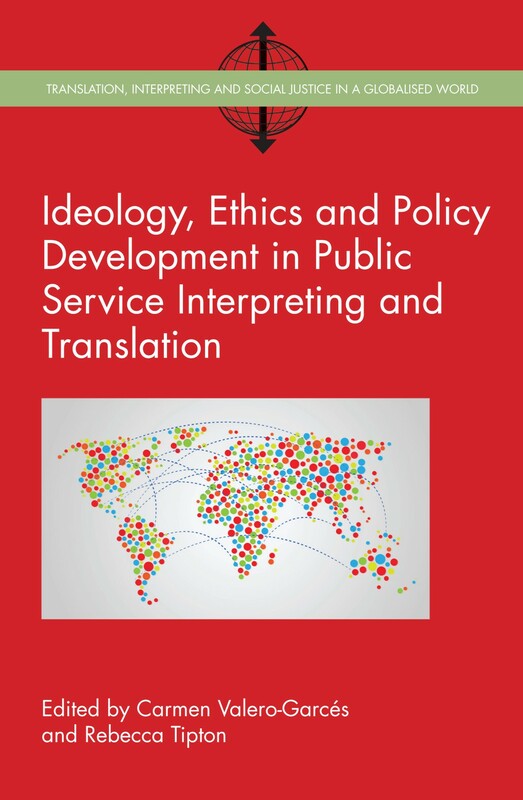 If you found this interesting, you might also like Ideology, Ethics and Policy Development in Public Service Interpreting and Translation edited by Carmen Valero-Garcés and Rebecca Tipton. 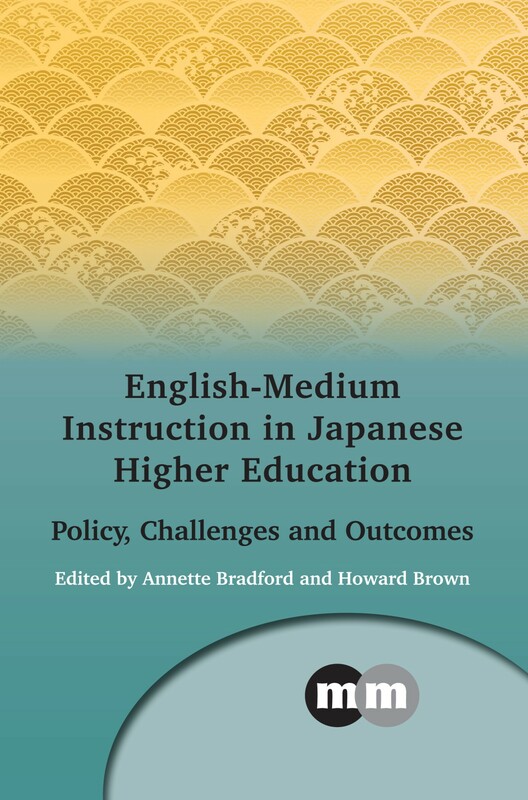 This month we are publishing English-Medium Instruction in Japanese Higher Education edited by Annette Bradford and Howard Brown. In this post Annette gives us an overview of what we can expect from the book. Japanese universities are internationalizing. They are enrolling more international students, sending more students on study abroad programs and infusing an international outlook into many of their degree programs. To help achieve this, spurred by recent government policies for internationalization, universities are rapidly increasing the number of courses and programs taught in English. In English-Medium Instruction in Japanese Higher Education we provide a thorough picture of the growth in English-medium instruction (EMI) by bringing together researchers from across Japan to provide an on-the-ground perspective of recent developments. The book is organized into six main sections. The first section, ‘English-Medium Instruction in Context,’ examines the social and policy environment that has allowed the rapid expansion of EMI in Japan. In Chapter 1, we describe the current state of EMI using the ROAD-MAPPING framework conceptualized in 2014 by European scholars Emma Dafouz and Ute Smit. In Chapters 2 and 3 of the book, Hiroko Hashimoto and Bern Mulvey address government education policy and its implications for EMI. Section 2 of the book, ‘The Implementation of English-Medium Instruction in Japan,’ looks at how programs are planned and developed. In Chapter 4, Hiroyuki Takagi examines EMI courses in relation to the internationalization of the curriculum. In Chapter 5, Beverley Yamamoto and Yukiko Ishikura explore how an entire degree program taught in English can develop and find its place in the university community. Section 3, ‘Challenges and Solutions for English-Medium Instruction in Japan,’ deals with some of the difficulties facing EMI stakeholders. Chapter 6 by Gregory Poole discusses institutional identity and administrative culture as impediments to EMI implementation. In Chapter 7, Hiroshi Ota and Kiyomi Horiuchi analyze the accessibility of Japanese universities’ English-taught programs for foreign students. In Chapter 8, Sarah Louisa Birchley takes a marketing perspective, examining if EMI programs have reached their full potential. In Section 4, ‘The Faculty and Student Experience,’ authors consider the roles of faculty members and student participation in and opinions of EMI. Chapter 9 by Chris Haswell focuses on how Asian varieties of English are perceived by domestic and international EMI students in Japan. Juanita Heigham looks at the broader campus experience in Chapter 10, examining the experience of non-Japanese speaking international EMI students as an essential and yet invisible part of internationalization programs. In Chapter 11, Sae Shimauchi presents a study of gender differences in the international outlook of EMI students. In Chapter 12, Bernard Susser focuses on faculty members, and explores his own journey transitioning from language teaching to EMI. Miki Horie reports on the training needs of EMI faculty in Chapter 13. Section 5 of the book, “Curriculum Contexts”, shifts gears away from policy and research questions and highlights specific EMI practices at three universities around Japan. In Chapter 14, Bethany Iyobe and Jia Li draw attention to the importance of integration and cooperation in a small EMI program. Chapter 15 by Jim McKinley looks at how an established EMI program is transforming in light of a new understanding of the role of English. In Chapter 16, Nilson Kunioshi and Harushige Nakakoji profile how EMI is being implemented for science and engineering students at a top tier university. In the final section of the book, “Future Directions for English-Medium Instruction”, we wrap up with a look at where EMI might go from here. In Chapter 17, Akira Kuwamura looks at both ethical and practical objections to EMI that have been raised in the literature. And in the final chapter, we, the co-editors, take a look back at an earlier example of innovation and reform in Japanese higher education. We compare IT with the recent happenings in EMI to question whether EMI can become fully embedded within the fabric of Japanese higher education. For more information about this book please see our website. 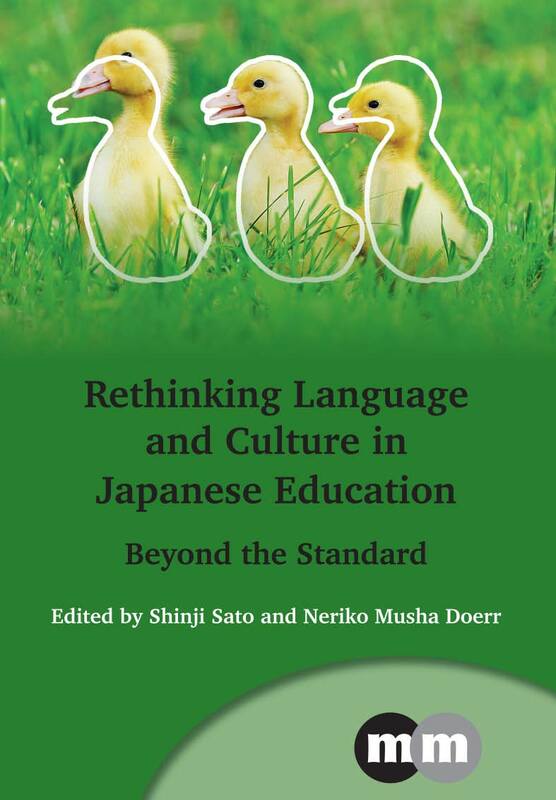 If you found this interesting, you might also like Rethinking Language and Culture in Japanese Education edited by Shinji Sato and Neriko Musha Doerr. 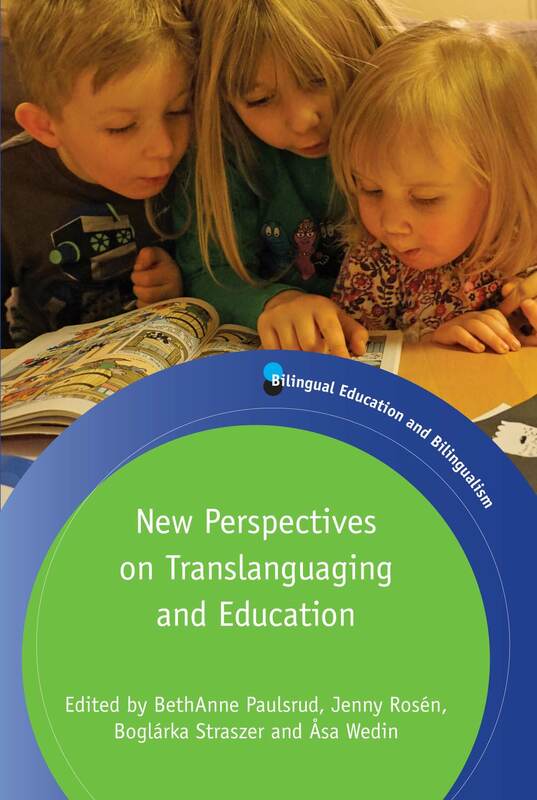 This month we published New Perspectives on Translanguaging and Education edited by BethAnne Paulsrud, Jenny Rosén, Boglárka Straszer and Åsa Wedin. In this post the editors explain how the book came about and introduce us to the metaphor of the “translanguaging tree”. Research on translanguaging has often been centred in superdiverse cities and urban spaces. Thus, Dalarna University in Falun, Sweden, may not have come to mind first when exploring new research in the dynamic field of translanguaging as theory and pedagogy ‒ until now! Dalarna University has proven to be the springboard for a collection of innovative international research on translanguaging. How did this happen? Let us back up a bit! The four of us editors have all been teaching and researching language in education in the Swedish context for many years, focusing on both policy and practice. With approximately 20% of Sweden’s population comprised of immigrants and at least 140 languages spoken by pupils in the compulsory school system, language use in and out of educational contexts is a stimulating field. Our research led us naturally to the concept of translanguaging. Translanguaging offered a new way to explore language ideologies, policies, and processes. After a study visit by Åsa to Canada, where she spent time with Jim Cummins and Thornwood Primary School in Mississauga, the idea of a small workshop on translanguaging grew. 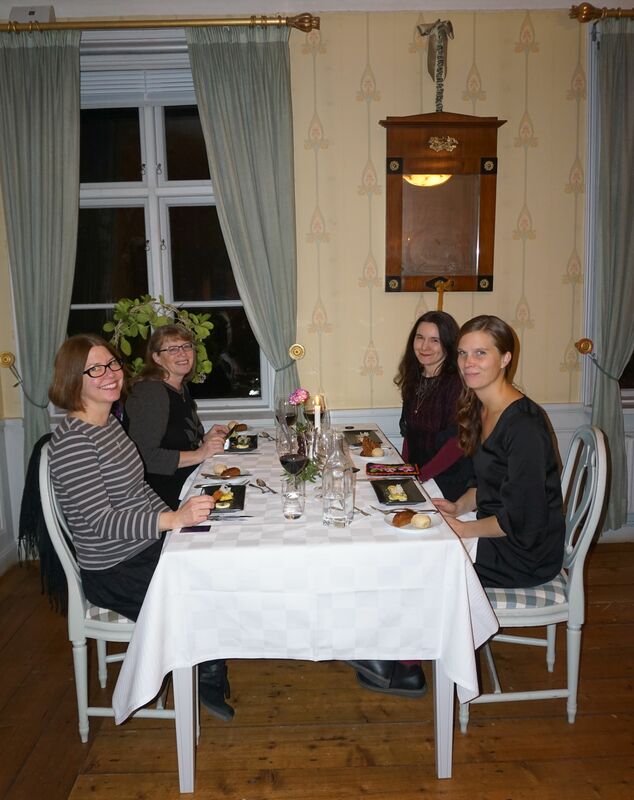 While we first imagined that perhaps a dozen or so Swedish researchers would join us in Falun, we soon realized that the thirst for discussing translanguaging as a theoretical and pedagogical concept was great. 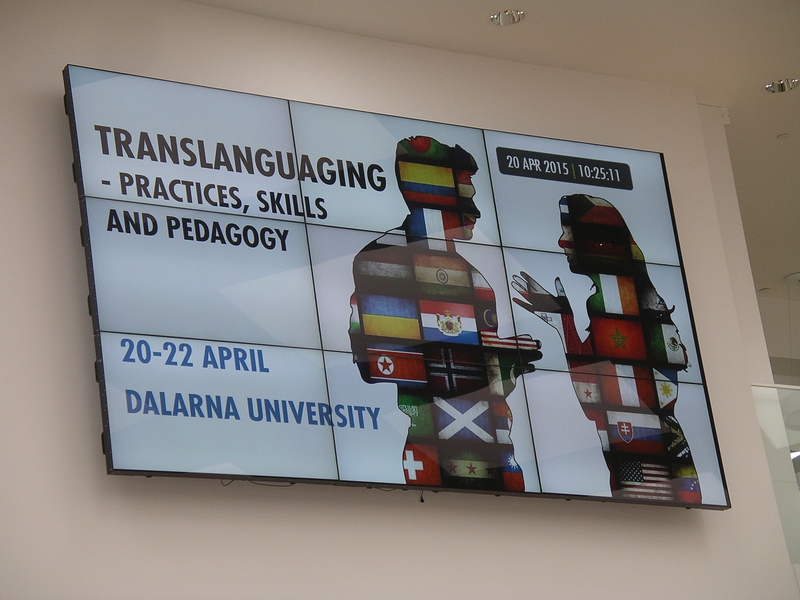 That informal workshop developed into an international conference, “Translanguaging – practices, skills and pedagogy”, with more than 150 researchers from around 20 countries as well as numerous in-service teachers. Bryn Jones, in his presentation at the conference, aptly described the spread of translanguaging as a useful concept in education research with the metaphor “from a little acorn a mighty oak grows”. The metaphor of the acorn even describes the momentum which followed the conference in Falun. Inspired by the amazing research taking place in different contexts, we knew that a volume was needed to share this surge in the field. With a fantastic group of scholars from seven countries, the volume took shape in record time. For us editors, the period of time from April, 2015, to the present will always be remembered as a blur of texts to read, long editor meetings, contact with fantastic authors spread across the world, and appreciation of the great efforts made by everyone involved in the book. A highlight was a two-day writing workshop in the wintry countryside outside of Stockholm, where all the authors gathered for two days of peer-reviewing and mingling. Organizing a conference on translanguaging in the small town of Falun in Sweden highlights the fact that linguistic and cultural diversity is part of everyday lives in most places in the world. 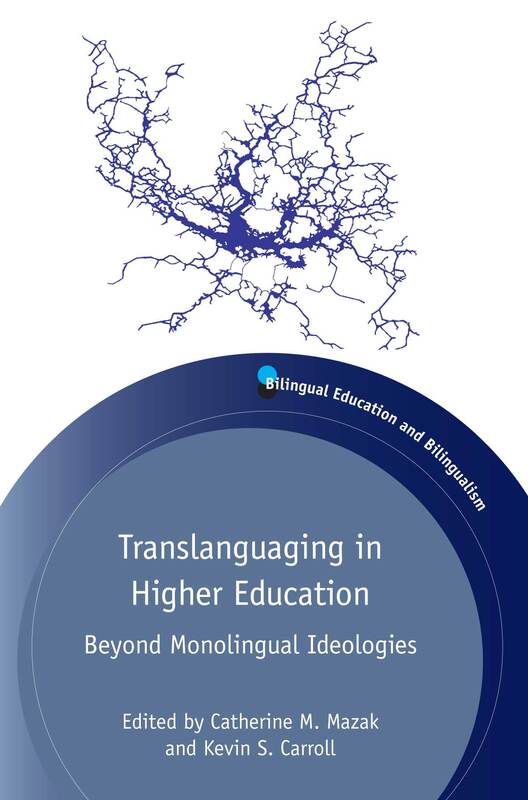 With the publication of this timely collection, we have made one contribution to tending the flourishing ‘translanguaging tree.’ We hope that the field will continue to thrive, and that future research will benefit from this first volume dedicated to new perspectives of translanguaging in education. For more information about this book, please see our website. If you found this interesting, you might also like Translanguaging in Higher Education edited by Catherine M. Mazak and Kevin S. Carroll. Later this month we are publishing Amy Heineke’s book Restrictive Language Policy in Practice which explores the complexities and intricacies of Arizona’s language policy in practice. In this post, Amy discusses the impact of these policies on English Language Learners. Think back to your experiences as a young person in school. What did you enjoy? With whom did you spend time? What challenges did you face? What pushed and prompted you to develop as an individual? How did those experiences influence who you are today? Now consider this reality. After starting school, you are given a language proficiency test. Based on your score, you are placed in a separate classroom apart from your friends. While they read novels and conduct science experiments, you learn the discrete skills of the English language: one hour of grammar, one hour of vocabulary, one hour of reading, 30 minutes of writing, and 30 minutes of conversation. You listen, speak, read, and write in another language, but the message is clear: English is the priority – learn it, and learn it fast. This is the educational experience for tens of thousands of English learners (ELs) in the state of Arizona. After Proposition 203 nearly eradicated bilingual education in favor of English-medium instruction for ELs in 2000, state policymakers and administrators further restricted language policy with the shift to the English Language Development (ELD) model. Implemented in schools in 2008, the policy required that students labeled as ELs (based on standardized tests of language proficiency) be separated from English-proficient peers and placed in ELD classrooms for four hours of skill-based English instruction. The statewide implementation of ELD policy in practice has yielded various challenges for local educators working in classrooms, schools, districts, and communities. Lacking rigorous preparation or pedagogical support, teachers must maneuver complex classrooms with learners from a multitude of cultural and linguistic backgrounds with various abilities, strengths, and needs. Due to this complexity, leaders struggle to staff ELD classrooms, often resulting in a revolving door of underprepared teachers. Students see themselves as being in the “stupid class,” as they fall behind their peers in math, science, and social studies in the push for English proficiency. Whether a first-year teacher or an administrator with decades of experience, local educators struggle with how to ameliorate this complex situation. Policymakers and state administrators believe in the ELD model, and as such provide staunch compliance measures to ensure rigid implementation of instructional mandates. As local educators and other stakeholders encounter the on-the-ground repercussions in their daily work, they make decisions to maneuver policy in practice to effectively reach and teach ELs. This book analyzes the complexities of restrictive language policy in practice. Conducted five years after the shift to ELD instruction, this qualitative study investigates how Arizona teachers, school and district leaders, university teacher educators, state administrators and legislators, and community leaders engage in daily practice to navigate the most restrictive language policy mandates in the United States. Overall, the book demonstrates that even in the most restrictive policy settings, educators and other stakeholders have the agency and ability to impact how policy plays out in practice and influence the education of ELs, so that all learners may one day fondly recall their schooling experiences. If you would like more information about this title, please contact Amy using the contact details above or see our website. You might also be interested in a couple of our other titles: Language Policy Processes and Consequences edited by Sarah Catherine K. Moore and Implementing Educational Language Policy in Arizona edited by M. Beatriz Arias and Christian Faltis. This month we published Towards Openly Multilingual Policies and Practices by Johanna Laakso, Anneli Sarhimaa, Sia Spiliopoulou Åkermark and Reetta Toivanen. The book explores language policy and use of minority languages in Europe. In this post, the authors discuss the many misconceptions about language diversity in Europe. Europeans know languages. Being highly educated means speaking many languages, being a well-integrated immigrant means having a good command of the national language. Being a good member of an ethnic minority means mastering both the state language and the ‘ethnic’ language – which, of course, is never subject to discrimination in a democratic European state. On the contrary, lots of taxpayers’ money goes to supporting it. In brief, Europeans have firm and clear opinions about languages, language learning and language use, about which languages should be promoted, supported, taught, used, or tolerated and in what context. That’s why, from time to time, these issues provoke emotional and heated debates. Often, the debates reveal that Europeans also firmly believe in linguistic fairness established by the law. It’s true that most European countries have language laws or general legislation concerning the use and promotion of the national language and the protection of minority languages, or at least their non-discrimination. There are even attempts to create general European language policies, which try to implement the Council of Europe’s treaties protecting minorities, their languages and cultures. However, there are also several questions which are seldom asked in the debates. How accepted and empowered do people speaking minority languages feel in Europe? How successful is language-related legislation, after all? How well-informed are citizens and decision-makers about the law and how justified are their firm opinions on language issues? In brief: Do we really know enough about how well the widely-praised and even legally-established commitments to minorities’ linguistic rights are fulfilled in Europe today? A is a hospital patient with Alzheimer’s disease at an advanced stage who no longer understands what the doctors and nurses are saying. He reacts with nervousness and speaks back to the staff in a language nobody at the hospital understands. It turns out that the hospital staff is not even aware that A’s mother tongue is spoken in their country and that it is a distinct language which is not intelligible to the speakers of the majority language. This is what recurrently happens, for example, to speakers of Karelian in today’s Finland and Finns in today’s Sweden. B is a healthy and lively child, who at the age of five could already read and write fluently in her language. When she is six-and-a-half, her parents take her to a paediatrician for a standard school maturity test. The family comes home with a recommendation to take B to a neurologist because of her low test scores: according to the paediatrician, “B didn’t even seem to understand the questions we asked her”. Things like this happen to members of numerous minorities and migrant groups in Europe all the time. C and D, a young couple, wish to transmit their heritage language to their child. However, their own parents have always spoken the majority language to them: C and D have only learnt their heritage language in childhood contacts with their grandparents. Speaking the heritage language to their own child feels ‘somehow artificial’, it feels ‘like a joke’. And even when relatives and friends praise and enthusiastically support the young family’s decision, nobody can tell them what they should do to make parenting in the heritage language ‘feel right’ and they get no support in the local daycare. This we have heard from Karelian-speaking parents in Finland and Meänkieli-speaking parents in Sweden. During a coffee break, E receives a phone call from her mother. She talks in a low voice in order not to disturb her colleagues. However, it is not the tone that disturbs – her colleagues tell her that speaking a language which the others don’t understand is discriminatory and offensive and is therefore forbidden at all premises of the workplace. Such regulations have been reported, for instance, by Finnish speakers in Sweden and by Hungarian speakers in Austria. F teaches extracurricular heritage language classes in a European city. His pupils come from different schools and backgrounds, and some of them don’t speak the heritage language at home on a regular basis and are not very confident language users. F cannot find really suitable teaching materials for his classes – all available textbooks have been created either for native speakers in a traditional speaker community or for foreign language learners. Although F is a trained teacher, during his education he was never prepared for or confronted with the special needs of a heritage-language learner. This is what teachers of innumerable minority and migrant languages struggle with daily everywhere in Europe. As the examples above reveal, the reality of how Europeans use and experience their possibilities to use minority languages is much more complicated than the smooth and glossy surface of European language policies and the numerous measures to support language teaching and learning, the proclaimed non-discrimination and the copious lip service paid to ‘multilingualism’ and ‘diversity’ let us believe. Despite all existing research, the multilingual reality is still not widely known, especially as it concerns the multilingualism of Eastern European and non-Indo-European-speaking minorities or migrant groups. Most notably, laws and policies do not cover all the dimensions of the real, multilingual world and citizens are surprisingly poorly-informed even of the existing laws and institutional arrangements. Reporting and analysing the results of a large-scale European research project, our new book, Towards Openly Multilingual Policies and Practices, dives under the glossy surface. As the project investigated the forms and prerequisites of multilingualism among twelve very different language-based communities from the Barents Sea coast to the Mediterranean area, the book offers insights into a wide variety of geographical and socio-historical contexts and will, hopefully, make you re-evaluate your own beliefs about the European myth of linguistic equality and fairness. We invite you to read the book and follow our quest to create a tool for assessing the maintenance of a minority language by way of its speakers’ personal experiences! For further information about this book please see our website. We are pleased to announce our new book series Early Language Learning in School Contexts edited by Janet Enever. In this post, Janet introduces her new series and explains how she sees the series developing. With the launch of this new series we focus on young children learning additional languages in school and preschool settings worldwide. The series provides an opportunity to bring together research on second, foreign and minority languages where these are introduced for children aged 3-12 years in schools. In the 21st century the provision of additional languages at an increasingly early age has become the norm in most developed countries and is now reaching the policy agendas of low-economy countries as well. Inevitably, given such rapid expansion, research initiatives have tended to lag behind, sometimes resulting in a lack of understanding of the challenges of the implementation process both by policymakers and schools themselves. With the establishment of this international series we hope to provide a platform for research in early language learning to be positioned as a distinctive area for investigation, offering new insights for many transnational themes and contributing to building a more robust procedure for the establishment of research-evidenced policy implementation processes. In this series we hope to include themes such as the nature of progress, motivation and outcomes in early language learning; examples of policy implementation across a variety of contexts; teacher development and approaches to classroom teaching and learning; curriculum themes and cultural awareness; varied models of provision and assessment and a consideration of research methodologies appropriate to the study of young children learning languages in school settings. This list offers just a hint of the areas that would benefit from substantial research in many parts of the world. As the series grows we hope to draw together a comprehensive body of research across a range of languages, clarifying the contribution that schools are able to make to the development of young children’s multilingual competencies and multiple cultural identities. For more information about the new series please see our website. Proposals should be sent to Laura Longworth, Commissioning Editor. You can also download a flyer for the series here. How are refugees’ experiences shaped by language and policy? In December we published Refugee Resettlement in the United States edited by Emily M. Feuerherm and Vaidehi Ramanathan. In this post, Emily introduces the main themes of the book and examines the discourse of refugee resettlement in the US. The plight of refugees and asylum seekers has been making headlines for the past couple of years. In the summer of 2014, the unprecedented number of unaccompanied Central American minors crossing the Southern US border reignited the moral panic about ‘illegal’ immigration and the validity of asylum cases. In 2015, images and stories of Syrian refugees fleeing a violent war in their home country was juxtaposed against receiving countries’ attitudes towards this vulnerable, displaced population. The US is geographically removed from many of the effects of the wars in the Middle East, and so has seen fewer refugees and asylum seekers from this region than Europe has over the past year. Nevertheless, the recent terrorist attacks in Paris pushed US politicians and policy makers to redouble their concern over borders and migrants, particularly focusing on refugees and asylum seekers from Syria, Yemen and other Middle Eastern countries. Now, politicians are calling for a ban (or at least more stringent background checks) on refugees being accepted from the Middle East, while at the same time there is a surge in raids identifying and deporting Central Americans seeking asylum in the US. With all of these discourses around refugee resettlement, this volume uncovers and critically analyzes the language, policies and pedagogies that contextualize refugees’ experiences in the US. The volume brings together researchers from several fields within the social and educational sciences with original research on the state of refugees in the US. Although several of the chapters are situated in specific geographical locations, their insights elucidate the contested nature of the language, policies, and pedagogies that position refugees and asylum seekers within (and outside of) our society. The language around refugeehood is explored in several contexts in this volume: the use of refugee, alien and immigrant in US media compared to the Immigration and Nationality Act (chapter 2); the various ways that the word refugee is appropriated or rejected by populations to which it is ascribed (chapter 3); and the discursive construction of refugees used by organizations responsible for their resettlement (chapter 9). Educational policies are also discussed at many scales: national and state educational policies directed specifically to refugees (chapter 4); higher education policies meant to support refugee background students (chapter 7); and local classroom policies in an elementary school English Language Development class (chapter 8). The chapters on pedagogies of teaching refugee adults highlights the need for building upon refugees’ strengths at the programmatic (chapter 5) and individual levels (chapter 10), as well as critically examining refugees’ “need” for English (chapter 6). You can find more information about the book on our website. You might also be interested in Vaidehi’s other books on refugees: Language Policies and (Dis)Citizenship and Language, Immigration and Naturalization. 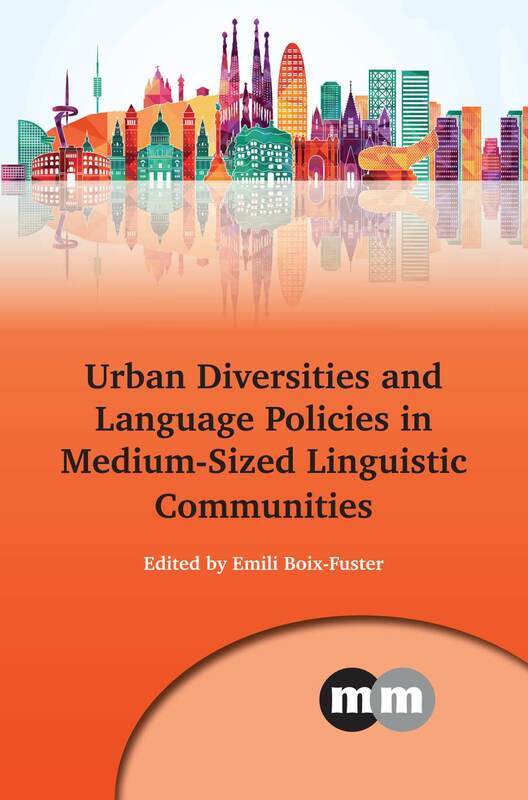 In August we are publishing Urban Diversities and Language Policies in Medium-Sized Linguistic Communities edited by Emili Boix-Fuster. Here, Emili explains how he became so interested in the subject of urban diversity. Having been born and raised in a big city, Barcelona, I’ve always been fascinated by its linguistic diversity, and above all, by the interrelation of this diversity with social inequality. Language, by means of its endless nuances mirrors the distribution of power and solidarity in society. In my city, for example, Catalan and Spanish coexist and compete in all domains in everyday life. My father, one of the first Catalan sociologists, always encouraged me to observe this heterogeneity. My new book, Urban Diversities and Language Policies in Medium-Sized Linguistic Communities, resonates this initial motivation. I wanted to compare the linguistic landscape of my native city with other urban areas in similar medium-sized linguistic communities. This endeavour has resulted in seven chapters dealing with this intermingling of language in society, namely Brussels (French/Dutch), Vigo (Galician/Spanish), Valencia (Catalan-Valencian/Spanish), Barcelona (Catalan/Spanish), Copenhagen (Danish/English), Helsinki (Finnish/Swedish/English) and Tallinn (Estonian/Russian/English). In all of them a competition takes place not only between the local languages, but also increasingly with the global language, English. I am convinced that observing and studying linguistic diversity through the lens of cities, allows researchers and citizens alike to understand and improve linguistic coexistence. For more information about this book please see our website. You might also be interested in one of our other titles: Survival and Development of Language Communities edited by F. Xavier Vila. English is becoming more and more common as the language of instruction in universities all over the world. However, in many countries efforts are being made to preserve indigenous languages. 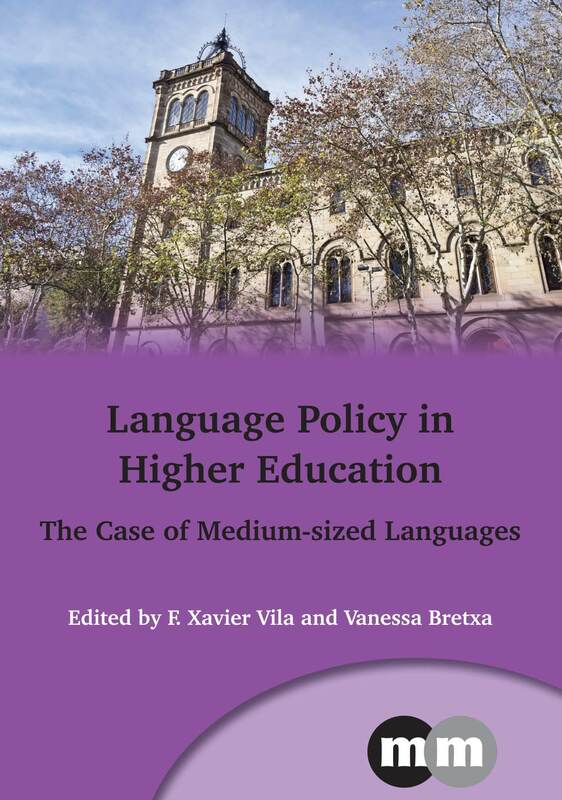 In this post, F. Xavier Vila and Vanessa Bretxa, the editors of our recent book Language Policy in Higher Education outline the recent debates within language policy that form the basis of their book. In 2012, the leading Italian public university Politecnico di Milano attracted headlines from all over the world when it announced it would move to all-English instruction. The announcement stirred the growing debate going on all over Europe about the convenience of increasing the role of English as the vehicular language in non-English-speaking countries. One year later, it was France’s turn to discuss the issue of the Franglais row: Is the English language conquering France?, to the extent that the national government had to make a decision about the role of English in French universities. Simultaneously, on the other side of the ocean, in the now economically booming Bolivia, the first promotion of students from the three recently created indigenous universities were preparing their graduation theses neither in Spanish or English, but rather in the indigenous Aymara, Quechua and Guarani languages. Their graduation in August 2014 was welcome as a crucial step in order to promote social cohesion and wealth redistribution and overcome centuries of external and internal colonialism. What’s going on in the field of language policies in higher education? Once the realm of Latin, in the 19th and 20th centuries universities adopted massively the national and colonial languages following the heyday of the Western nation states. Universities formed the intellectual elites that led the cultural and scientific progress of the last century, and produced the leaders and the cadres that ruled the world. But globalization and the commodification of knowledge are transforming the environment for higher education also in its linguistic dimension. English-medium courses are proliferating all over the world, sometimes due to the genuine desire to attract international talent, partly also as a strategy to obtain resources from abroad. But is the development of English-medium education just part of a more complex story? In a context where the major languages are said to be succumbing to the urge of English, what are the prospects of medium-sized languages that have achieved the status of lingua academica to retain it? Will they find a place in the new world of higher education, or will they rather be reduced to the status of mere vernaculars in a near future? And what about those that have still not made it? Is it still sound to spend time and money to raise their status or would it be more adequate to try to content their speakers with a reasonably stable functional distribution of languages? Is it still worth increasing the number of linguae academicae? These and other related questions are tackled in the volume Language Policy in Higher Education: The Case of Medium-Sized Languages by a team of well-renowned specialists in language policy. Based on the close examination of a number of medium-sized languages from Finland to South Africa and from Israel to Catalonia, the volume compares the trajectories of languages that have made it in higher education and others that didn’t, analyses their current state, and seeks to extract lessons of general applicability. And while their results may be read from different perspectives, one of them seems to be clear: in the era of globalization, there seems to be ample room for multilingualism in academia, but it will probably never be the way it used to be. For more information on this book please see our website. 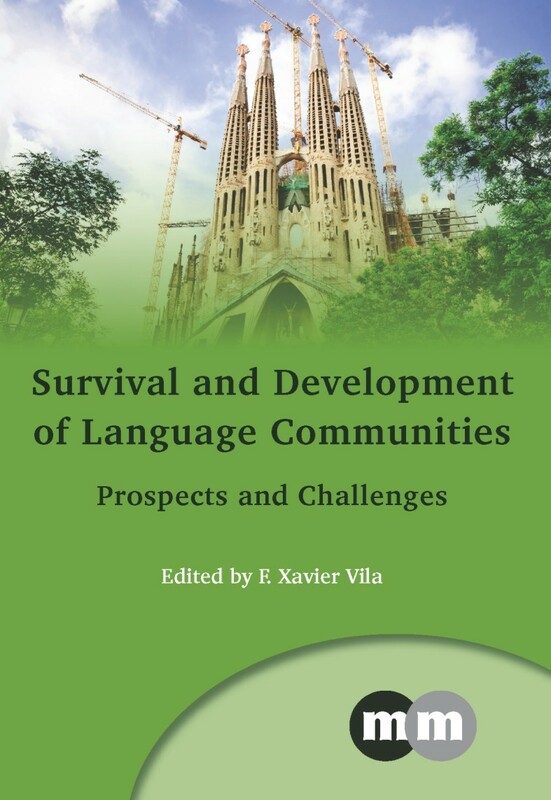 You might also be interested in Survival and Development of Language Communities edited by F. Xavier Vila. 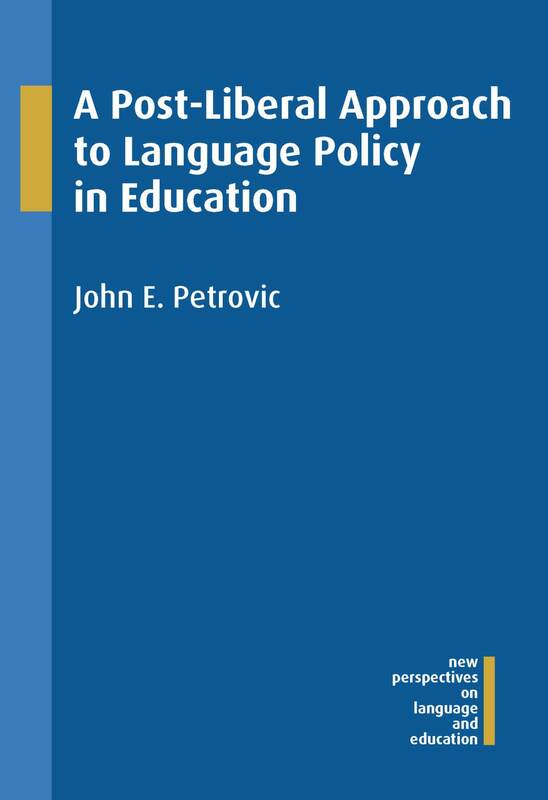 John Petrovic is the author of A Post-Liberal Approach to Language Policy in Education which we published this month. In this blog post, he tells us how he came to write the book. I have always had an interest in languages and language policy issues. As an undergraduate, I majored in International Relations and had minors in Spanish and Russian. The so-called “Great Communicator,” Ronald Reagan, never communicated with me about becoming Ambassador to Spain (my plan), so I pursued a Masters in Bilingual Education. Some years later, my doctoral dissertation was a liberal defense of bilingual education. A major influence was my study at the University of Barcelona during my undergraduate years. There, language policy issues were, and still are, front and center in national politics around official languages to the language of instruction in the university classroom. Inevitably, people proclaim their language rights at these levels and all levels in between and, I suppose, rightly so. It is here that my two scholarly interests — language policy and liberal political theory — meet. Liberal political theory certainly provides us rights. But how can everyone enjoy language rights (at least in the way that I think a “right” should be understood)? As sympathetic to the work of Tove Skutnabb-Kangas as I have always been, this was still a question I struggled with for a number of years. What I needed was greater clarity on language itself. I went back to de Saussure. Some clarity. Where it really hit me, however, was when I completed an edited volume — International Perspectives on Bilingual Education. In a chapter in this volume, Christopher Stroud revealed to me the way that liberalism shapes received understandings of language as a construct. With Aaron Kuntz, I worked through — and, I hope, added to in some interesting way — Chris’ thinking. The resulting article published in Language Policy formed a major piece to the puzzle. I combined this with a couple of other pieces that I had laying around and a picture emerged. This book is that picture. It represents my thinking on language policy in education, on language rights, on language and identity, and the role of liberal theory in these matters…for now. Yet I am under no delusion that it is not missing pieces or that I did not force some pieces together. Puzzles are frustrating like that. For more information on this book please see our website.